Francis Ysidro Edgeworth was a British economist, who held the Chair of Political Economy at Oxford between 1801 and 1922. 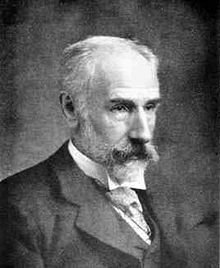 His most important published writings were Mathematical Psychics (1881), Theory of Monoply (1807), Theory of Distribution (1904), and Papers relating to Political Economy (1925). Edited the Economic Journal from 1891 to 1926. Edgeworth developed indifference curve analysis and is famous for the ‘Edgeworth Box’ diagram.